Heart conduction system. 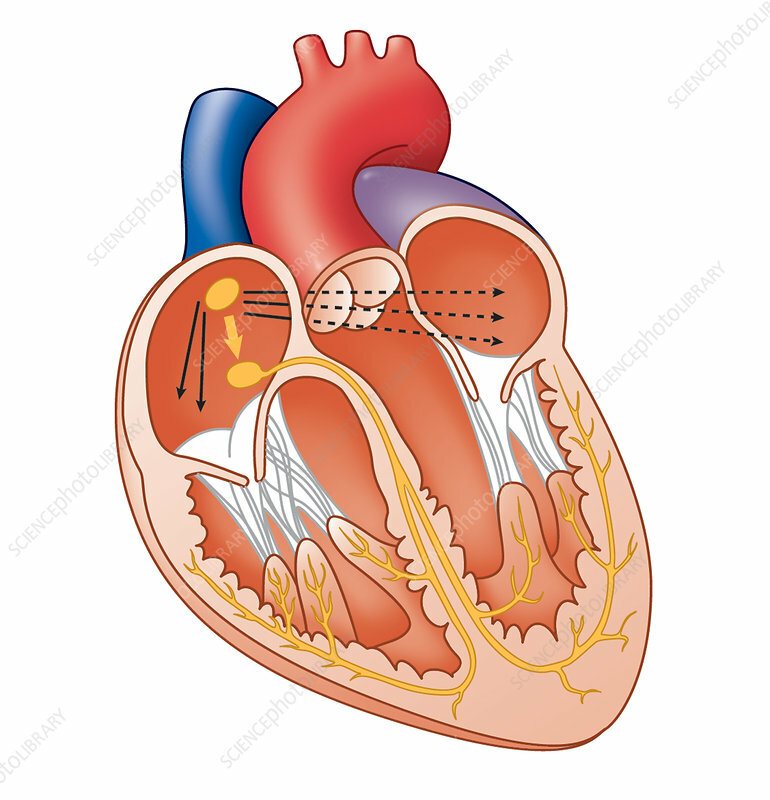 Artwork showing the impulse conduction system and nodes (yellow) of the human heart. The sinoatrial (SA) node's self-excitatory muscle cells (upper left) trigger an impulse that spreads through the heart's upper chambers (atria) to the atrioventricular (AV) node (centre left). Contraction of the atria causes blood to move into the heart's lower chambers (ventricles). Nerve extensions (yellow) via the bundle of His cause the ventricles to contract, sending blood to the lungs and to the rest of the body. Also shown are major heart blood vessels (top) and heart valves and tendons (white and grey).